Home/Finished knives./Custom pair of handmade knives. 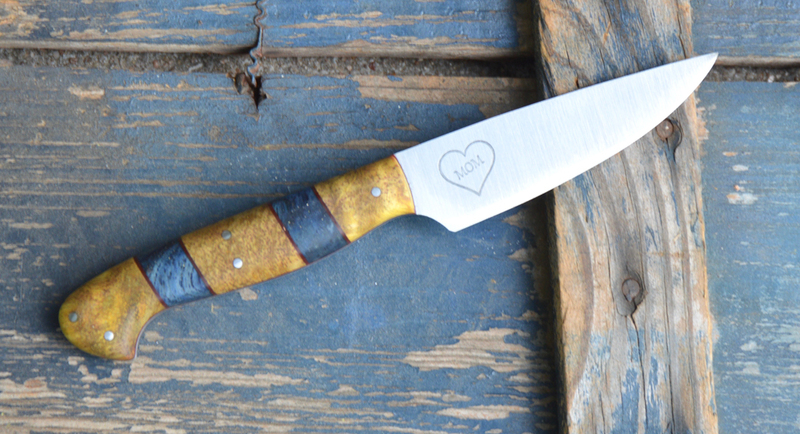 I finished a pair of custom knives for some local Austin residents. I’ve never made a matching pair of custom knives before so I was looking forward to this project. Both knives are roughly 11 inches long and as you can see one is a Santoku and one is a traditional chef knife. The wood is a very nice, exhibition grade, Central American Rosewood on 440c stainless steel. 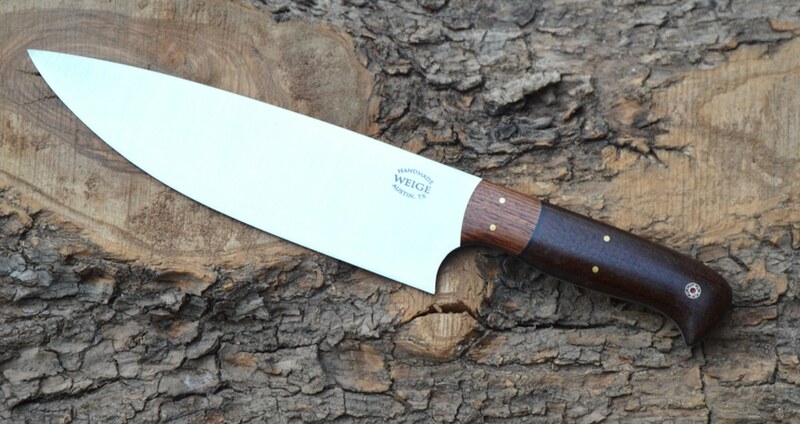 You can see the white G10 stripe between the handle and the wood on the top knife. The handmade mosaic pins are brass, stainless steel and copper. Both of these knives were custom fit to the customer’s grip. Also, you might notice this photo is much nicer than my usual photos. 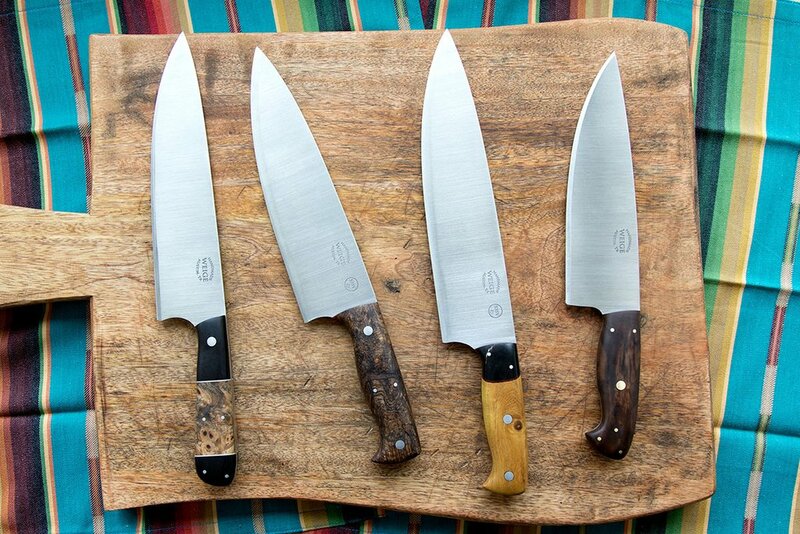 A higher quality is evident and you can see the detail of the knives much clearer. 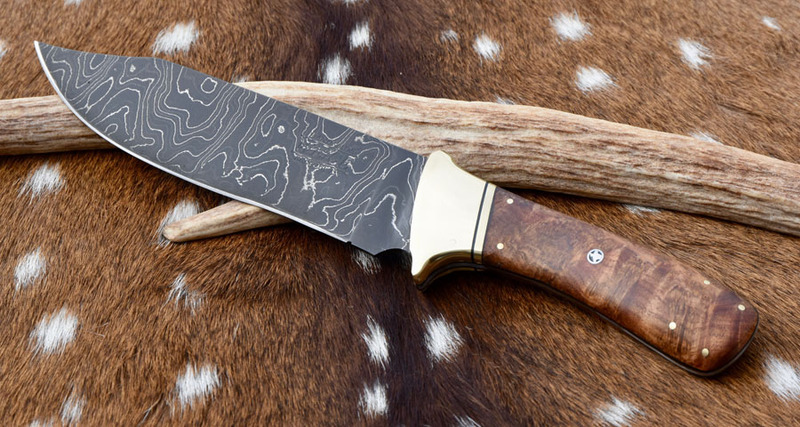 A friend of mine is a professional photographer and is doing some product photography and offered to take some photos of my knives. You can see his work by clicking here. 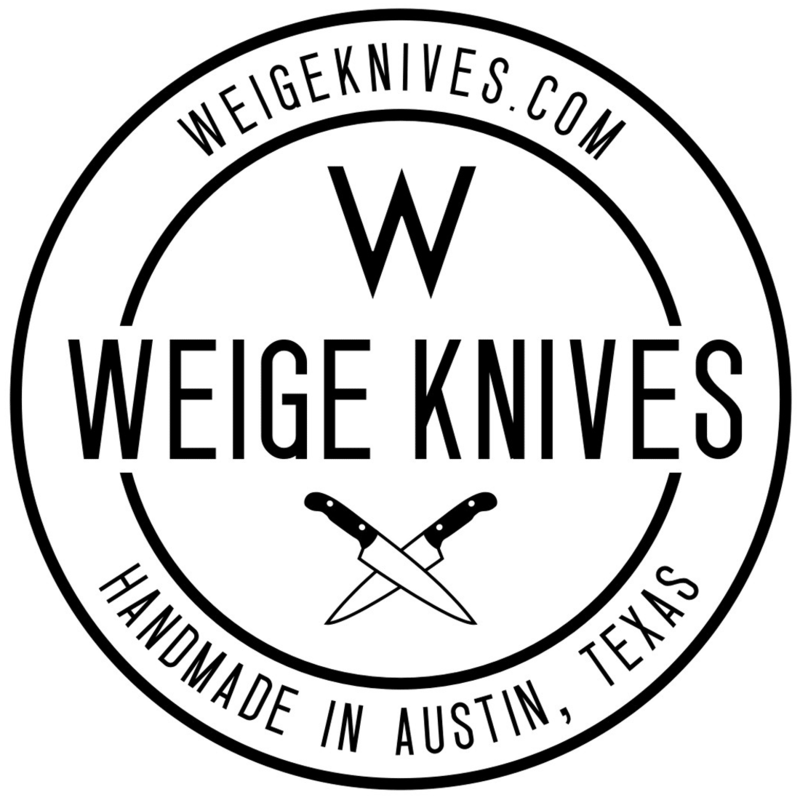 I was just searching for knife makers in Austin and found your web page. You’ve got some nice stuff here.